Haha! 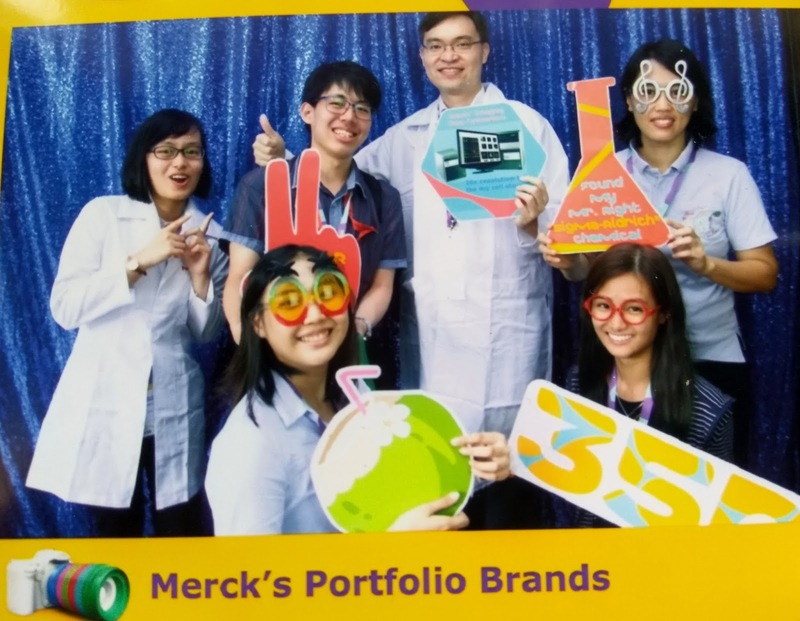 Someone joked that his mentors would all be in ICU after eating these! Oh. my. GOSH! I LOVE these cookies!! You are so talented! Emma and I have been messing around with the decorating tips and now I know how HARD this is to do. Look at Josh...how grown up! How cute! I bet everyone got a kick out of them! How fun and ever so clever. Brilliant. Oh wow! Those are so cute! Well done! What a great idea, and fun way to celebrate. 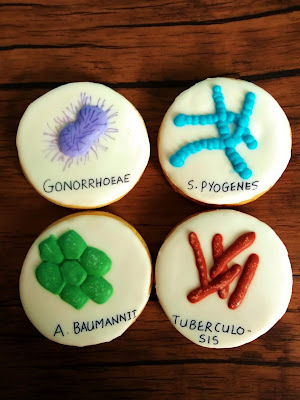 I so want some of those cookies! And congrats to your son on his achievement. 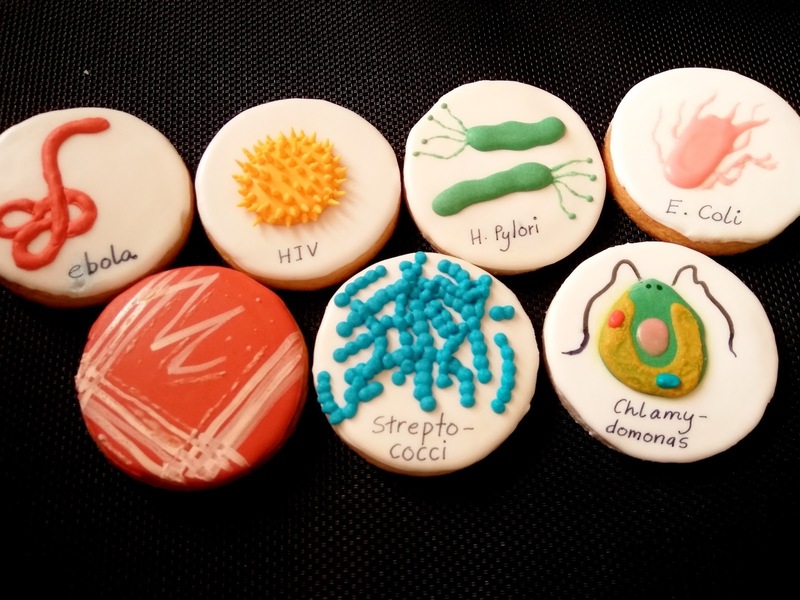 Those are so cute.. never would have thought of microbe cookies. Those cookies look fun heheh!, much better than the ones we constantly have to keep accepting haha! Those are pretty funny. They make stuffed animals like that as well. They turned out great! I don't think I'd want to eat one of those. Although very cute, they kinda makes me lose my appetite. What a great idea and so fitting! 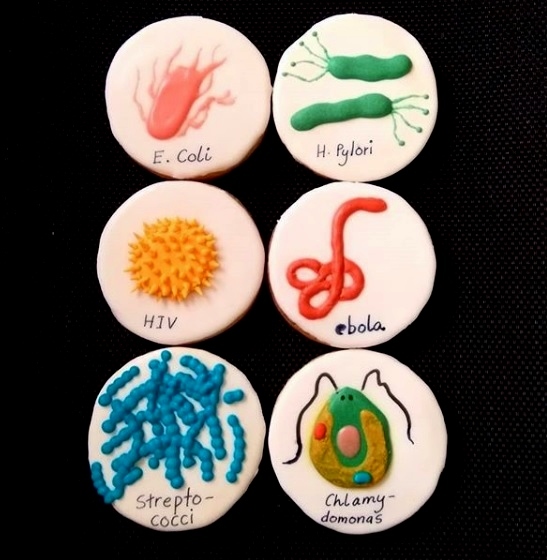 Personally I wouldn't eat a one... the thought of it I think I would become ill! hahahahaha Thanks for sharing..... I think!!! That is such a cool idea, they came out great. Oh wow, these are very creative. 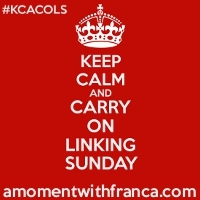 Thanks so much for sharing your post with us at The Wednesday Link Up. Oh my Veronica..I would LOVE to eat all those microbes :). They look so cute! This is adorable! Like those squishy balls for disease lol! Too funny! I'm a geneticist, my husband is a biochemist, and so is my father. Right up our alley! Dropping by from You're the Star! So talented, my friend! Yes, it's been awhile but I couldn't help but peek in at the blogging world and discover that your kiddo is no longer little! Where did the time go? Love the cookies. I would eat them for sure!